If you’re an adult who prides themselves on presenting a polished image in their everyday lives, pursuing orthodontic treatment can feel like an impossible dream. There’s always the option of traditional braces to correct your gaps or misalignments, but you’ve worked hard to establish yourself as a professional; the last thing you need is a mouth full of metal that makes you feel like you’re back in junior high. Here at Horsham Dental Elements in Horsham and Philadelphia, Dr. Henkel feels that his patients deserve a better option that doesn’t force them to pick between dental correction and self-confidence – that’s where Invisalign comes in! With this revolutionary new orthodontic method, patients can transform their smiles smoothly and seamlessly. It’s simple – you’ll be provided with a series of clear, customized aligners, each one representing a different stage of your teeth as they move into their ideal alignment. All you have to do is wear each one for a predetermined amount of time before switching to the next in the set! With brief check-ups every six to eight weeks so that Dr. Henkel can check that your smile is progressing smoothly, you’ll be on the path to a beautifully transformed appearance! 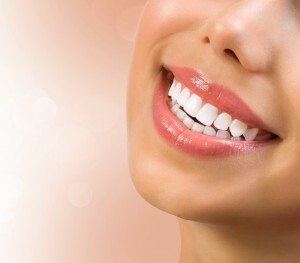 There are numerous benefits to choosing Invisalign treatment over traditional orthodontics. There are no uncomfortable metal wires or unsightly brackets to suffer through – only clear, comfortable aligners that are easily removable, meaning that you won’t have to make any frustrating changes to your diet or oral hygiene routine. Best of all, Invisalign treatment is usually finished after around 12-18 months – a much shorter time than the multiple years that traditional orthodontics can require to be fully effective. Contact either our Horsham or Philadelphia office today to schedule an appointment! Dr. Henkel and his team can’t wait to give you a reason to smile brighter than ever before.